What makes a new species, adaptation, or randomness? Can We Just Save This Adorable Parrot for Christ’s Sake? Is there elegant math behind the bamboo that you and I will never see flower? It’s now fully funded, but every cent will help Bill Nye and The Planetary Society’s LightSail! But did we actually give chickens dinosaur snouts? You ever spent an hour looking at mantis eyes? Do you have a microbial fingerprint that can identify you? 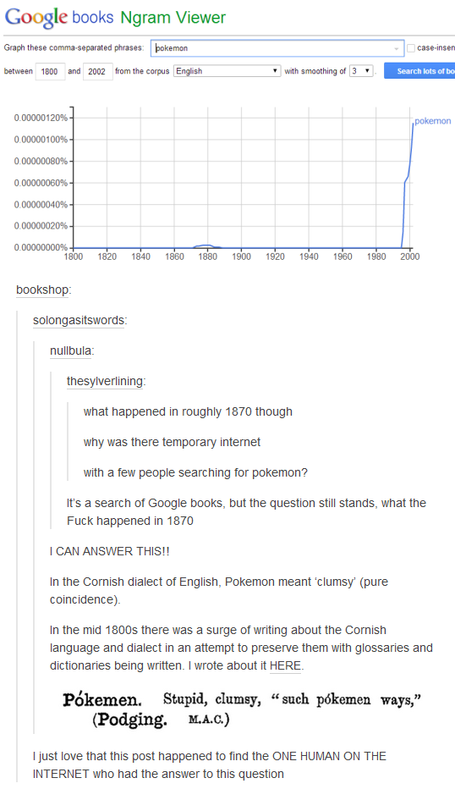 Why were people writing about Pokemon in 1870? Are we ever going to run out of gas? ∞ So excited for xkcd’s new Up Goer Five-inspired book: Thing Explainer! Ohhhhhh. Makes total sense now: Why Is There A Hole In Airplane Windows?